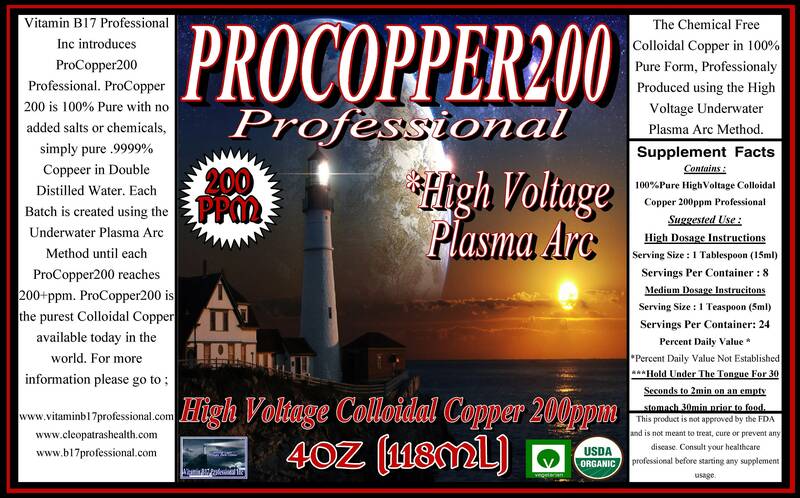 True Underwater High Voltage Plasma Arc ColloidalCopper 200ppm 72hour Batch Time. Contains Only 100% Pure .9999 Copper using the Underwater Plasma Arc Method. 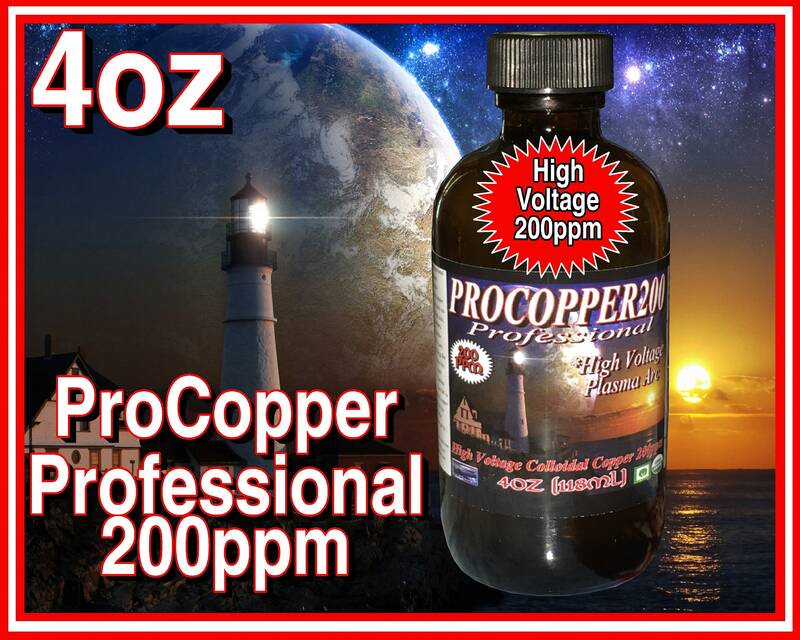 Features No Salts, No preservatives, No Additives, No Reduction Agents, just Pure .9999% Plasma Arc Copper (The Real Method). BPA Free Amber GLASS Bottles and Free measuring scoop. Dark Amber in color due to the High Voltage small particle size adding up for over 72hours (The True Professional Colloidal Copper).